CIAK TRACTION batteries offer the complete range for all types of applications. Within CIAK TRACTION brand we offer all types of DIN and BS cells, integrated in a metal-plastified containers as well as hard-plastic containers that resist exploatation conditions for years. Only the highest quality traction cells are used in production of CIAK TRACTION batteries, and a specialized team of battery experts is in charge of battery mounting and quality control processes. 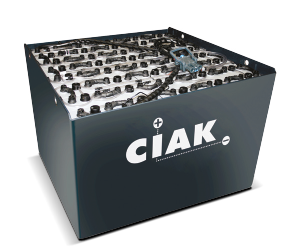 With guaranteed spare parts availability and a perfect price/performance ratio, CIAK TRACTION batteries are the ideal choice for any professional battery need.